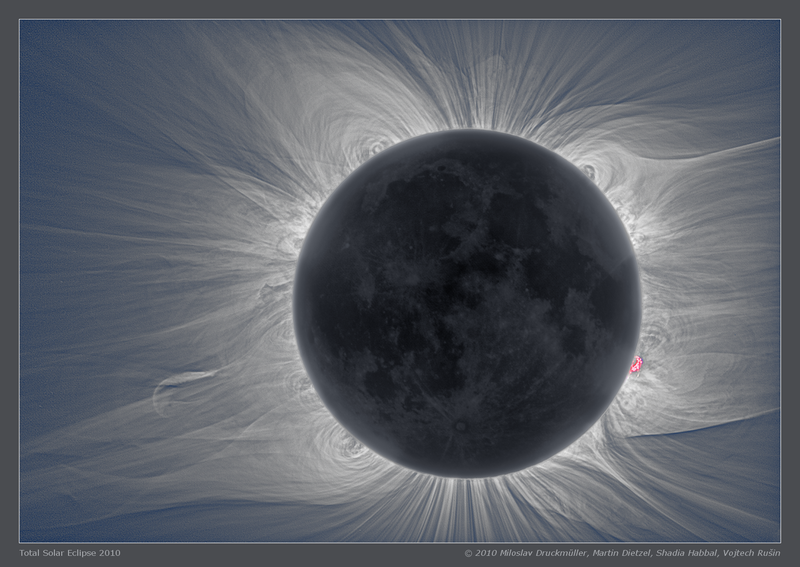 During the eclipse, you’ll be able to see and photograph the structures in the Sun’s corona. The total solar eclipse crossing America on Aug. 21 will be the first eclipse to march from sea to shining sea in nearly 100 years. This astronomical event is a unique opportunity for scientists studying in the shadow of the Moon, but it’s also a perfect opportunity to capture unforgettable images. Whether you’re an amateur photographer or a selfie master, try out these tips for photographing the eclipse. To take images as the Sun is being eclipsed, you’ll need to use a special solar filter to protect your camera, just as you’ll need a pair of eclipse glasses to protect your own eyes. However, at totality, when the Moon completely blocks the Sun, make sure to remove the filter so you can see the Sun’s outer atmosphere — the corona. Having a few other pieces of equipment can also come in handy during the eclipse. Using a tripod can help you stabilize the camera and avoid taking blurry images during the low lighting. Additionally, using a delayed shutter release timer will allow you to snap shots without jiggling the camera. Taking a stunning photo has more to do with the photographer than the camera. Whether you have a high-end DLSR, or a camera phone, you can take great photos during the eclipse; after all, the best piece of equipment you can have is a good eye and a vision for the image you want to create. If you don’t have a telephoto zoom lens, focus on taking landscape shots, which capture the changing environment. While the Sun is the most commanding element of an eclipse, remember to look around you. As the Moon slips in front of the Sun, the landscape will be bathed in long shadows, creating eerie lighting across the landscape. Light filtering through the overlapping leaves of trees, creating natural pinholes, which will also create mini eclipse replicas on the ground. Everywhere you can point your camera can yield exceptional imagery, so be sure to compose some wide-angle photos that can capture your eclipse experience. Be sure you know the capabilities of your camera before Eclipse Day. Most cameras, and even many camera phones, have adjustable exposures, which can help you darken or lighten your image during the tricky eclipse lighting. Make sure you know how to manually focus the camera for crisp shots. For DSLR cameras, the best way to determine the correct exposure is to test settings on the uneclipsed Sun beforehand. Using a fixed aperture of f/8 to f/16, try shutter speeds between 1/1000 to 1/4 second to find the optimal setting, which you can then use to take images during the partial stages of the eclipse. During totality, the corona has a wide range of brightness so it’s best to use a fixed aperture and a range of exposures from approximately 1/1000 to 1 second. Share your eclipse experience with friends and family afterwards. Use the hashtag #Eclipse2017 and tag @NASAGoddard to connect your photos on social media to those taken around the country and share them with NASA. Upload your eclipse images to NASA’s Eclipse Flickr Gallery and relive the eclipse through other peoples’ images. Images will be selected from the gallery and shared on Twitter and Instagram. While you’re out perfecting your perfect eclipse shot, don’t forget to stop and look at the eclipse with your own eyes. Just remember to wear your eclipse safety glasses for all stages of the eclipse before and after totality!